Few days bac, Honda launched its new variant of bike which is more or less similar to its famous Honda Shine which has now made quite a hold in Indian Bike market. 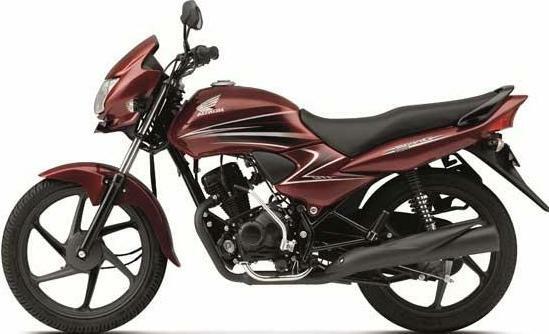 This 110cc engine which produces 9 BHP @ 7500 RPM bike is expected to be released in May 2012. Prices in other cities could fluctuate 1k or 2k depending upon the location and demand. Apart from this 6 different models were launched by Honda in this year Auto Expo. I Like this bike. My brotherr want to buy this in mumbai. so what is the price in mumbai send me detail. please sent me full information and colour variey about it. i don’n like this byk…………. i like bike & i want to buy in mumbai can you provide me detials of bike in mumbai or Panvel showroom as soon as possible i also touch any showroom but not found these type of bike so please advise & need same colour.